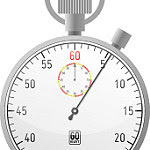 Wait for the right beat to jump in: I'd spent the day seeing user after user on Twitter jam through 5 to 10 posts in a row--so fast no others came through my feed at that point--instead of listening, waiting to post, and then posting one and waiting again. 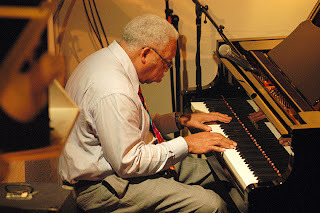 So I was even more struck by what I saw at the concert, where I was seated just below Ellis Marsalis's piano and watched him wait, listen, then play....wait, listen, then play. Taking in the other performers' rhythms first gave him a sense of where his notes would fit in, just as it will for you in social media discussions. Be responsible to the group: Before the concert, the players joined in a jazz program at the White House, where First Lady Michelle Obama said "there's probably no better example of democracy than a jazz ensemble: individual freedom, but with responsibility to the group." And in performance that night, players would step to the back of the stage to let their fellows take a spot--and the spotlight. Everyone got their notes in, but let others' notes fly. No one failed to contribute as needed. Do the same in your social-media interactions by explaining your context, asking questions of others, answer others' questions of you--something many neglect to do--and being respectful of their views. Let your followers take center stage: A noted music teacher as well as pianist, Ellis Marsalis featured one of his most famous students: Harry Connick, Jr. And while Connick sang one song, he primarily played piano at this tribute concert--skillfully dueling keyboards with his teacher, who hung back so the one-time student could play. When you can feature your followers, friends and fans in social media, do so. It builds the relationships that are the basis for everything else you'll do in these media. Make sure you can "hear" your key audience: In an evening full of highlights, I loved watching Ellis Marsalis and Billy Taylor, grand pianos nestled opposite one another, whirl their way through a lagniappe of variations on "Body and Soul." But I noticed that the first thing Ellis did was to lower his music stand, the better to be able to catch Taylor's eye--and understand from a look where he'd be heading, since there was no chance they'd see each other's keyboards. In the same way, you should be listening to and monitoring your key audiences on social media so you'll know where they're heading. Once you hear the audience, follow them: At the rousing finish, eveyone who'd played was onstage for a big New Orleans-style jam, when Harry Connick (now on cowbell) looked at the audience, which was on its collective feet, dancing in the aisles of the normally staid Kennedy Center, waving handkerchiefs and otherwise acting as if it was Mardi Gras. "Let's go around," he yelled to the others, and they all jumped off the stage for a parade through the aisles. It was just what the people wanted. Paying attention to those cues on social media pays off, too.